West Virginia offers a number of incentives for businesses. You can find out more about these and other state programs here. Corporate headquarters credit: Companies that relocate their corporate headquarters are eligible for tax credits. Economic opportunity credit: Offsets up to 80 percent of taxes for up to 13 years. Minimum job requirement: 20. "Five-for-ten" program: Provides a tax incentive to businesses that make qualified capital improvements of at least $50 million to an existing base of $100 million or more. It assesses the new capital addition at a salvage value of 5 percent for the first 10 years. Manufacturing investment credit: Allows a 50 percent corporate net income tax credit and franchise tax credit based on investment with no new job creation required. Manufacturing sales tax exemption: Materials and equipment purchased for direct use in manufacturing are exempt from the 6 percent state sales and use tax. Strategic R&D credit: Allows for up to 100 percent tax offset for R&D projects. R&D expenses are exempt from sales tax. Sales tax exemption for e-commerce vendors: Some computer-related sales of tangible personal property and services are exempt from the consumer sales and services tax. High-growth business investment tax credit: This credit is equal to 50 percent of the qualified investment made in certain companies that have been certified by the tax commissioner as eligible for the Strategic R&D Tax Credit. An investor or investor ownership group may use up to $50,000 of credit per year. Tourism Development Incentive: A company that invests in and operates a new or expanding tourism destination project may be eligible to retain some of the consumers' sales and services tax that it collects from its customers over a 10-year period on sales from operation of the tourism attraction or facility. Tax increment financing: Allows increases in property tax associated with qualified economic development and public improvement projects to assist with their long-term financing. Warehouse "Freeport" tax exemption: Goods in transit to an out-of-state destination are exempt from ad valorem property taxes when warehoused in West Virginia. The Tourism Matching Advertising Partnership Program: (Administered by WV Division of Tourism) This is a reimbursable partnership program that provides matching funds for innovative and effective direct advertising projects that increase visitation and travel expenditures in the State of West Virginia impacting the economic growth of the travel industry. Direct loan programs: The West Virginia Economic Development Authority can provide up to 45 percent in financing fixed assets by providing low-interest, direct loans to expanding state businesses and firms locating in West Virginia. Loan term is generally 15 years for real estate intensive projects and five to 10 years for equipment projects. Loan proceeds may be used for the acquisition of land, buildings and equipment. Working capital loans and the refinancing of existing debt are not eligible. Indirect loans: The West Virginia Economic Development Authority provides a loan insurance program through participating commercial banks to assist firms that cannot obtain conventional bank financing. This program insures up to 80 percent of a bank loan for a maximum loan term of four years. Loan proceeds may be used for any business purpose except the refinancing of existing debt. Industrial revenue bonds: This program provides for customized financing through federal tax-exempt industrial revenue bonds. Of the state's bond allocation, $53,809,350 is reserved for small manufacturing projects; $15,374,100 for qualifying projects in Enterprise Communities, and $77,154,000 for exempt facility projects. 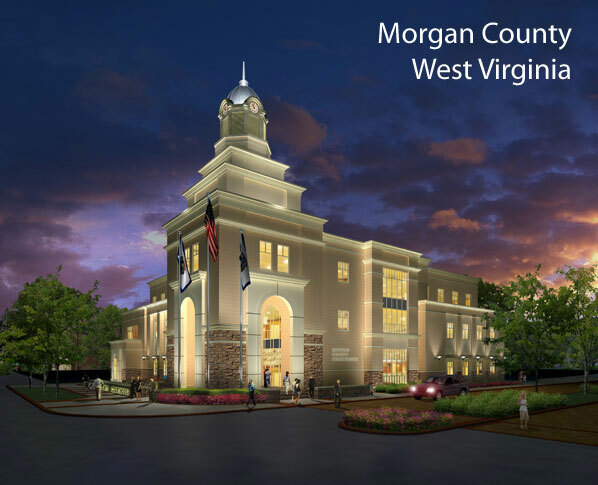 West Virginia Infrastructure and Jobs Development Council: The fund can be used for financial assistance to public utilities, county development authorities and private companies for infrastructure improvements to support economic development projects. Linked deposit program: Provides low-interest loans to qualified small businesses for amounts up to $150,000 and for terms up to four years.